Superdry isn’t necessarily a store I’d venture into that often, but squirrelled away in the bowels of their new Regent Street flagship store is a very good reason to change that. 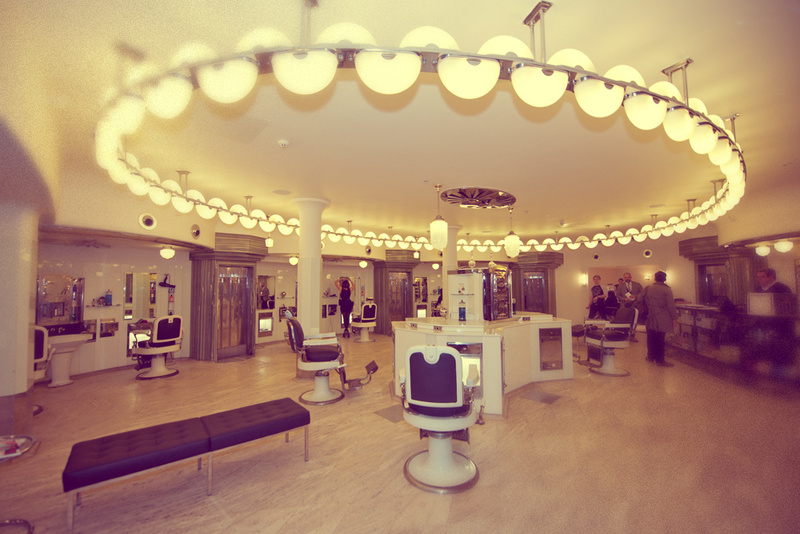 There’s been a barber shop in the basement of 103 Regent Street for more than 80 years and although it’s been abandoned for a little while, Brit salon chain Tommy Guns has now taken charge and restored it to its former glory – sympathetically restoring the space, with just a few modern additions. 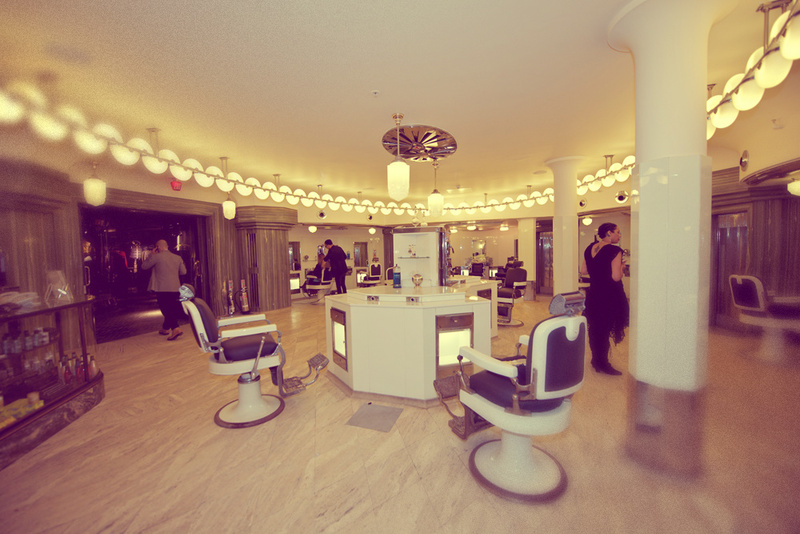 Designed and built by Percy Westwood and Joseph Emberton, the barber shop was opened in 1929 within the Austin Reed store – all neon lights, chrome and jade green marbling. I love the huge cream sinks, built-in cabinetry around each styling station and masses of gleaming chrome chairs – which have been retained since the 1930s. 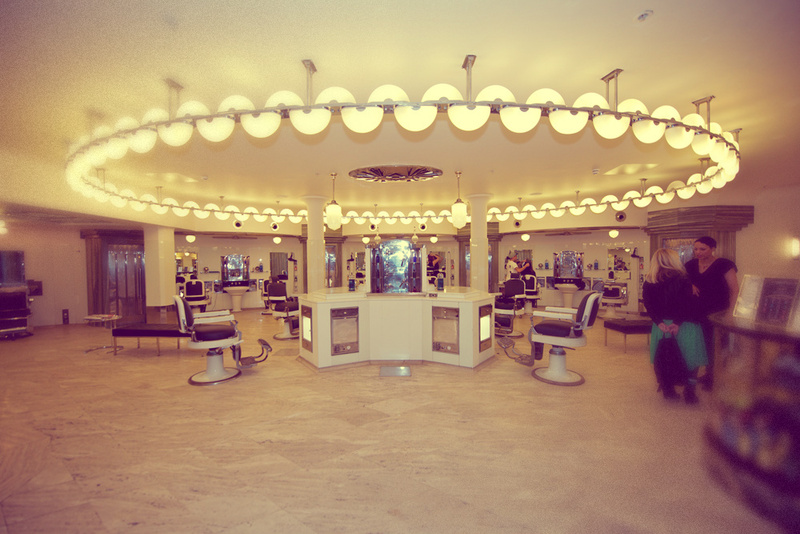 Also of note; that awesome serpentine of neon lights circling the middle of the salon. Sharing the space is nail guru Sophy Robson, whose Nailporn nail art bar has its first permanent home in a luxe beauty parlour away from the main salon floor. Completing the services is Lash Perfect, who have opened a lash bar offering enhancements and brow treatments in the shared space. 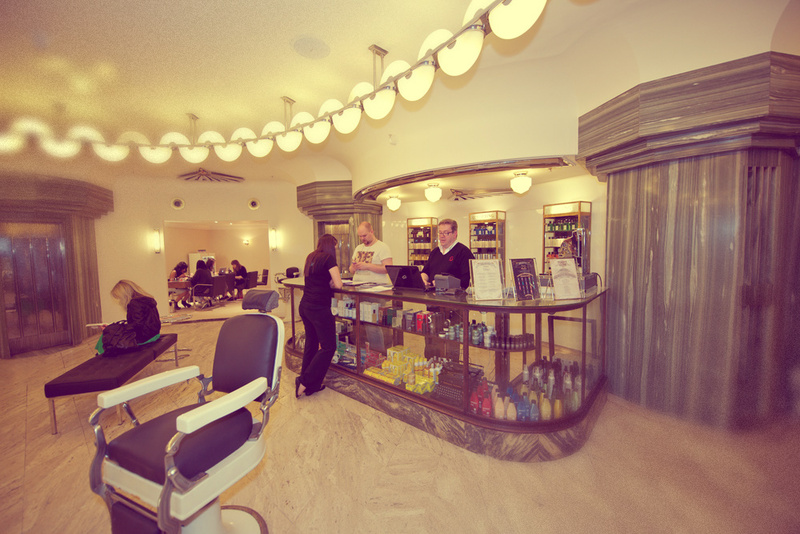 Not only is the salon respecting and retaining its glorious deco interior, but they’re also stocking heritage brands to reflect the space’s history. Agua de Colonia, Marvis and Proraso are just some of the brands stocked – in a really neat little bar-style cove right by the door. Visiting the salon on its opening night was such a treat – I’ve long admired RIBA’s pictures of the space and was pretty giddy to go and get a good look for myself. The opening party was packed, but I’ll be back to get my hair and nails done very soon – I already have my eyes on Sophy’s gold glitter All Seeing Eye. Tommy Guns Regent Street is based on the lower ground floor of Superdry, 103-113 Regent Street, London W1B 4HL. Nails start at £23 for a full-set of nail art, lashes start at £5 for lash gems and hair starts at £30 for a shampoo and finish.